My love for Malaysian cuisine keeps growing with every roti canai, laksa lemak and char kway teow I eat. The blending of flavours in every dish never ceases to blow my mind. 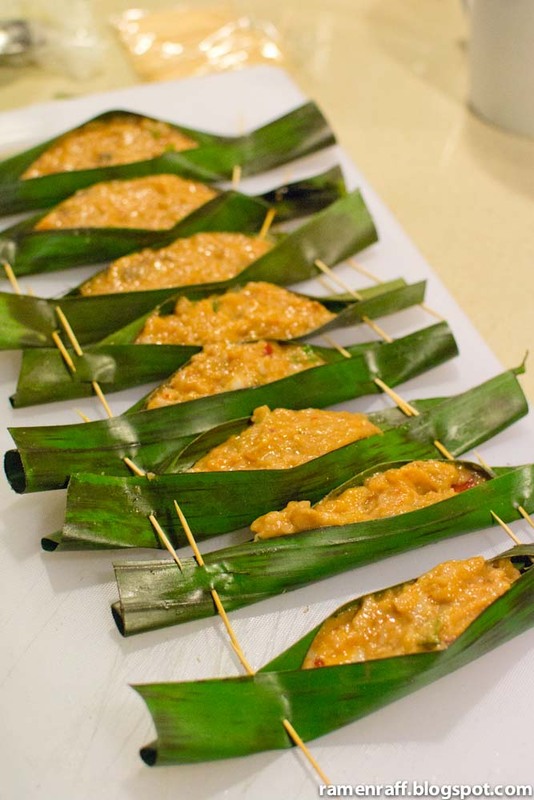 I would definitely grab the opportunity of learning to cook Malaysian food if one was to come my way. 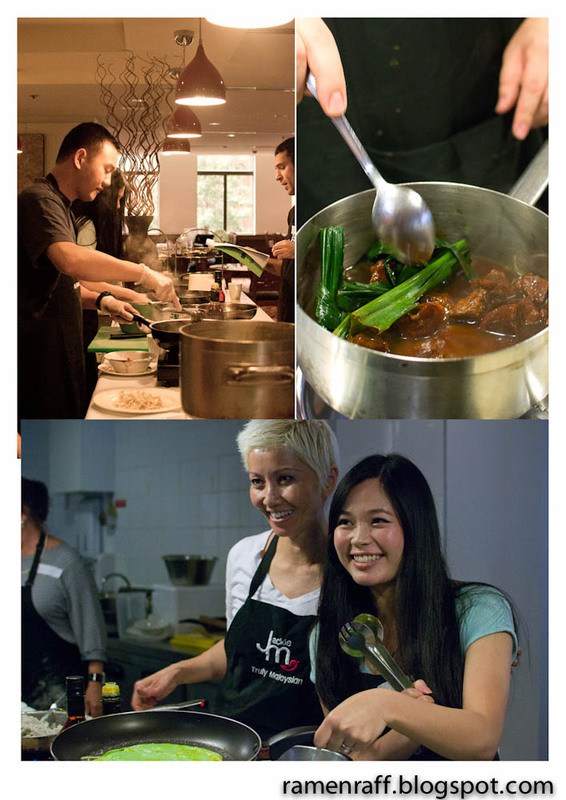 A few weeks ago, I received an invite from Vani to participate in one of Jackie M's Malaysian cooking masterclass. I kindly and joyfully accepted the offer. To learn from Jackie M herself is such an honour. The heavens read my mind and granted me my wish! Jackie M is the renowned restaurant owner of Jackie M in Concord. She may seem like a scary lady on twitter (throws up a 'peace sign' in the air at Jackie) but in real life, she's one of the coolest person I've ever met. 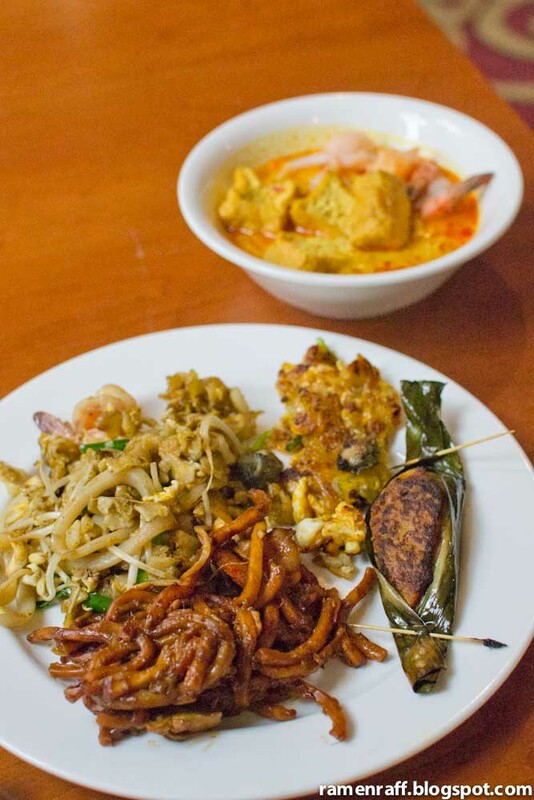 I attended week 3 of Jackie M's class at the Grace Hotel, which covers some Malaysian street food, which includes: Char Kway Teow, Oyster Omelette, Laksa Lemak, KL Hokkien Mee, Otak-otak, Kuih dadar. It started with an introduction to what the class will cover and a few housekeeping rules. We were split into teams of two and were allocated three dishes to make. 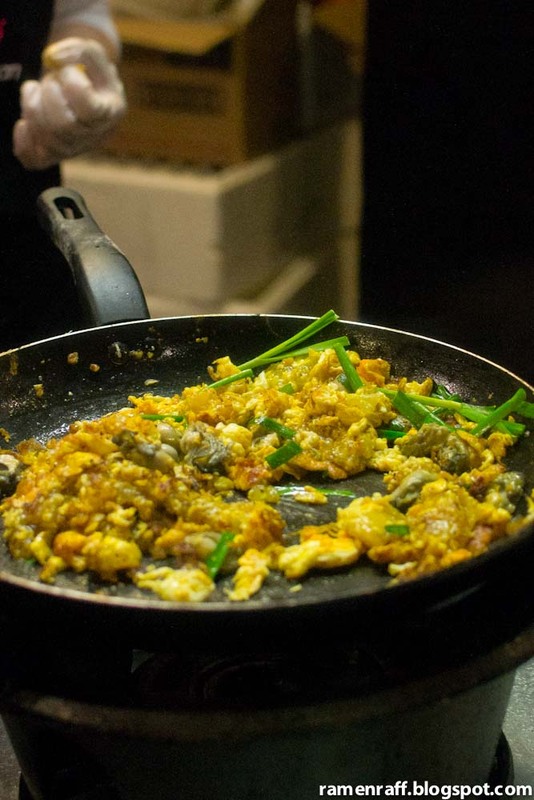 But just before our cooking sessions, Jackie did informative cooking demostrations of making Char Kway Teow and oyster omelette. It was like watching a rockstar cook. She also passed on a phrase to take with us when cooking Malaysian food. That saying is 'Agak, Agak' (pronounced Ah-ga'h, Ah-ga'h) which roughly means 'to estimate'. 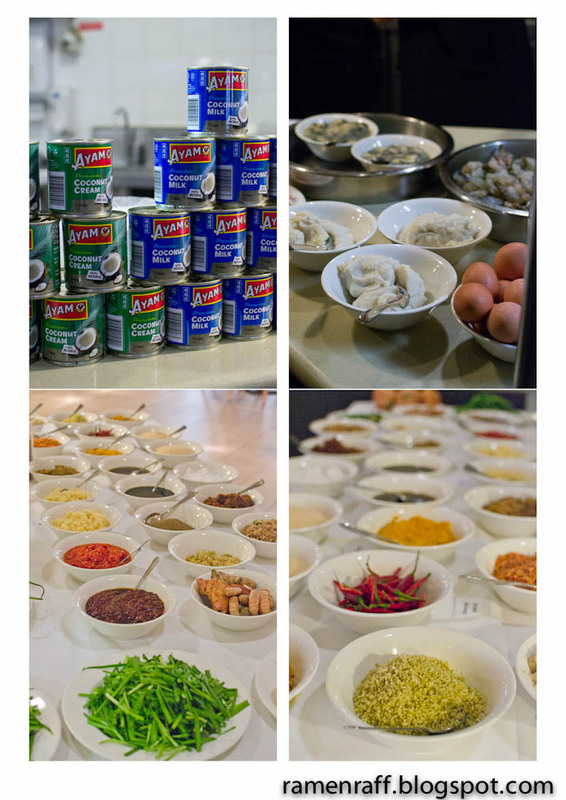 Malaysian cooking is never exact when it comes to measuring the amount of ingredients that goes into a dish. Every version of a dish varies depending on the cook's taste. 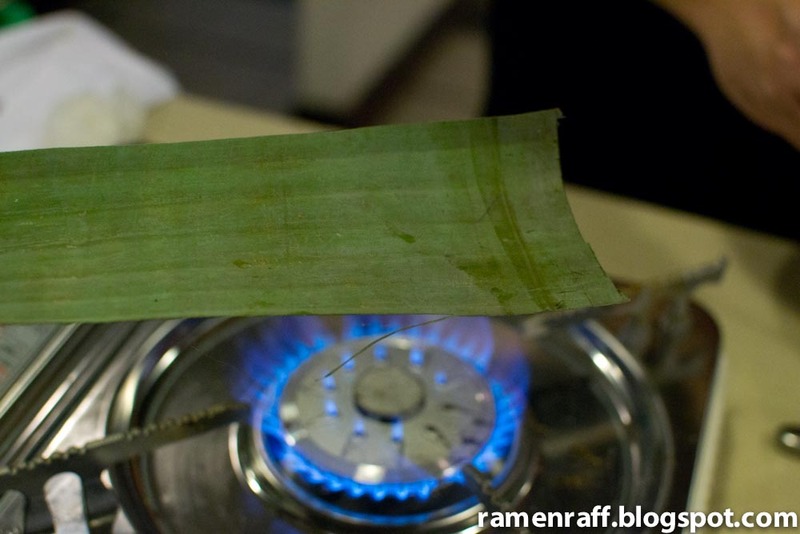 Simon of The Heart of Food and I chose to make Char Kway Teow, Kuih Dadar and otak-otak. We then pulled out our recipe booklet handouts and gathered our ingredients. All the ingredients were nicely laid out and labelled. 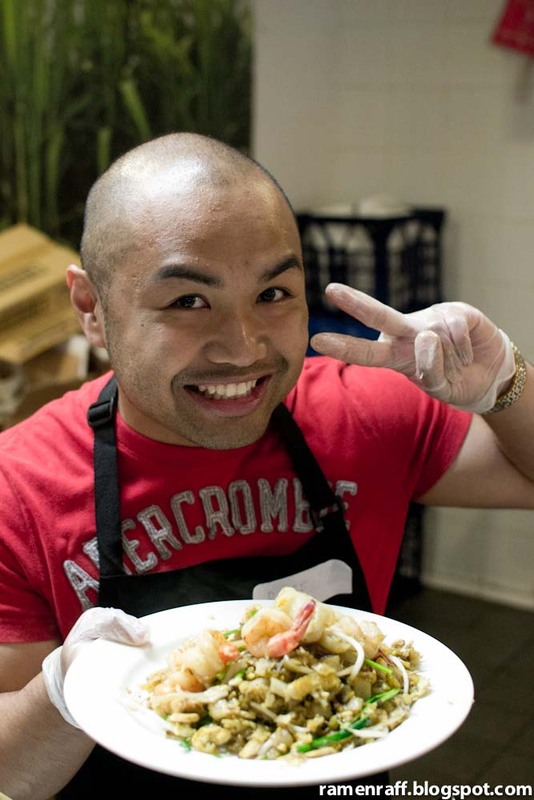 Raff's Char Kway Teow - Thanks Jackie! While Simon gathered and prepared ingredients for the Kuih Dadar, I got behind the steel wok with hopes of following Jackie's footstep and attempt her signature Char Kway Teow (CKT). 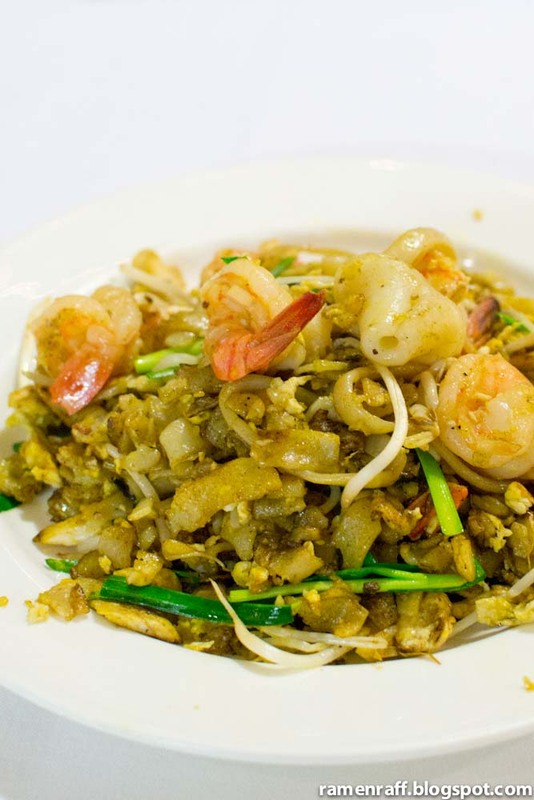 Char Kway teow is stir fried flat rice noodles in sweet soy based sauce with ingredients that vary. 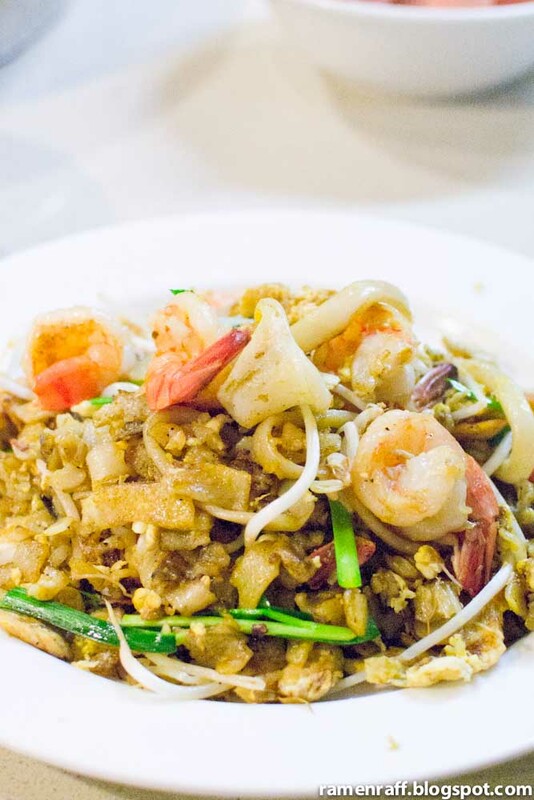 These ingredients include or may include egg, prawns, chives, garlic, onion, chinese sausage, chicken, cockles etc. 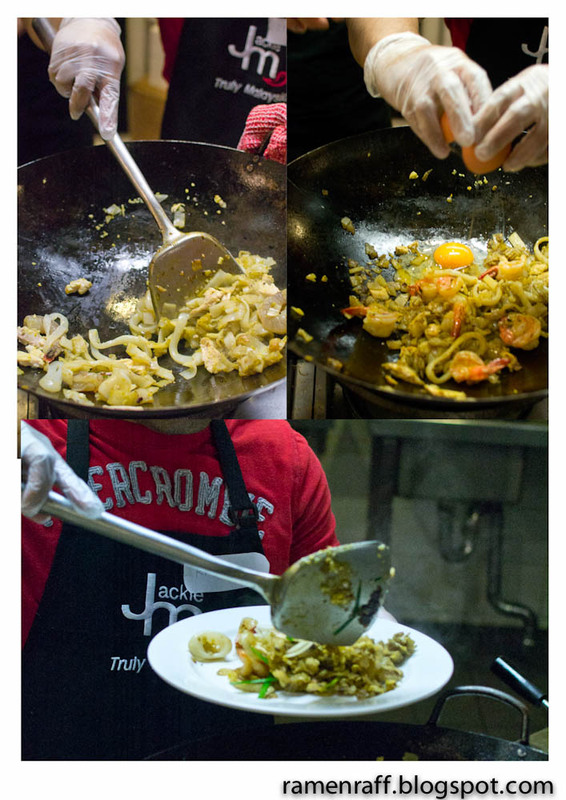 Thanks to Jackie and Vani’s guidance and my stir-frying experience, I was able to breeze through this process. At the end, I was happy with the result! I even got the wok hai (breath of wok) taste factor going. Iza helped me with the mixing and assembly of the otak-otak. 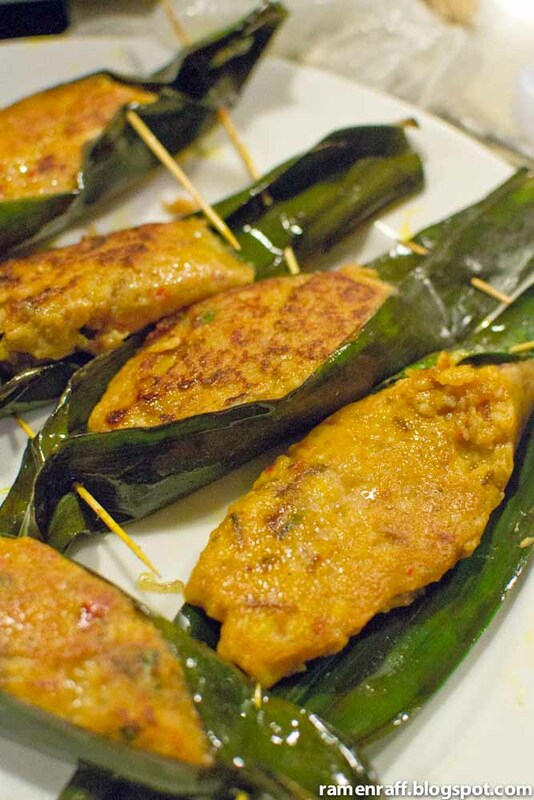 It is a type of cake made out of fish and spices. This is the third otak-otak that I've had and it is also the best tasting one. 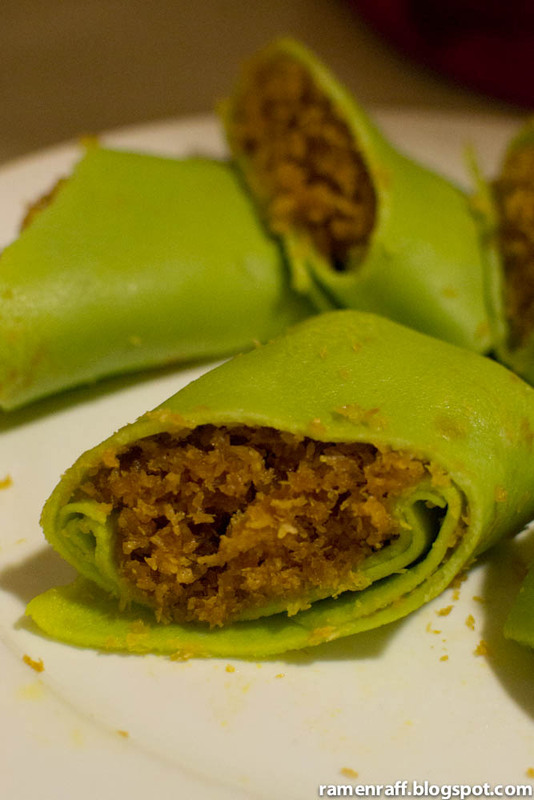 The Kuih Dadar that Simon, D, Cat and Ali put together was sensational! 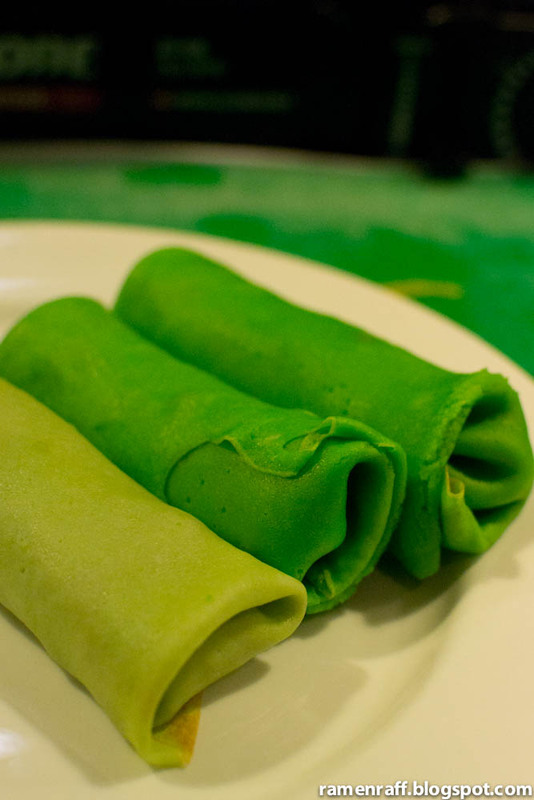 The crepe like wrapper flavoured with pandan and the filling of grated coconut with steeped gula melaka is a sweet treat that has now become a favourite of mine. 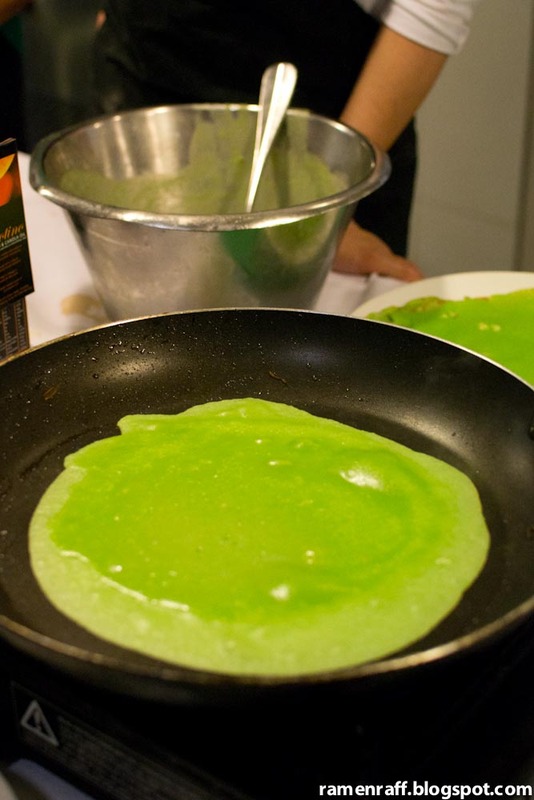 It is served with a sweet creamy like sauce that Simon cooked perfectly. After all that hard and fun work, we shared and devoured the fruits of our labour. Everything tasted great as expected. But most of all, it was a lot of fun and you get to take home culinary knowledge passed on by Jackie. Bookings for the last class this year on 23 December 2012 could already be full. But I was told that there would be classes available next year. For more details about future classes, contact jackie@jackiem.com.au or Vani - 0424 260 494. Thanks Jackie, Vani and Iza for an awesome masterclass! 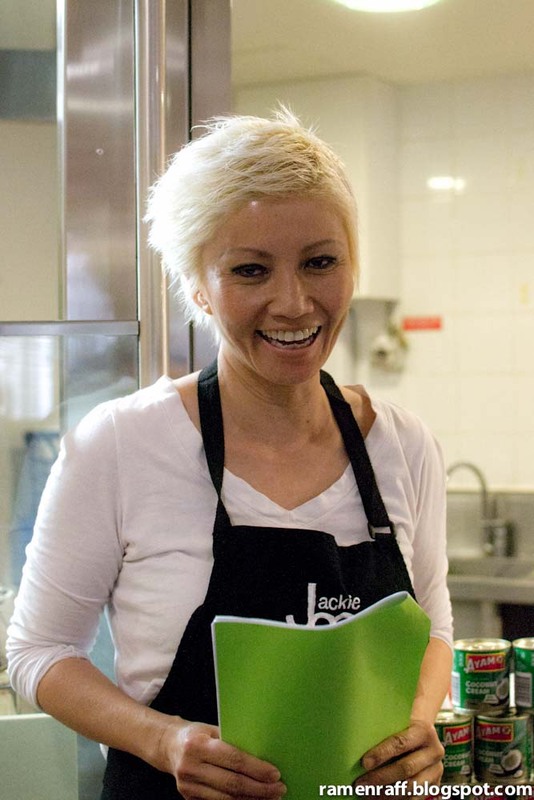 Ramen Raff was invited by Jackie M to participate in the cooking masterclass as a guest. Lovely overview, so sad i couldnt make it to any of the classes. Fantastic cooking class ! Love Jackie M's food ! Everything looks so delicious! 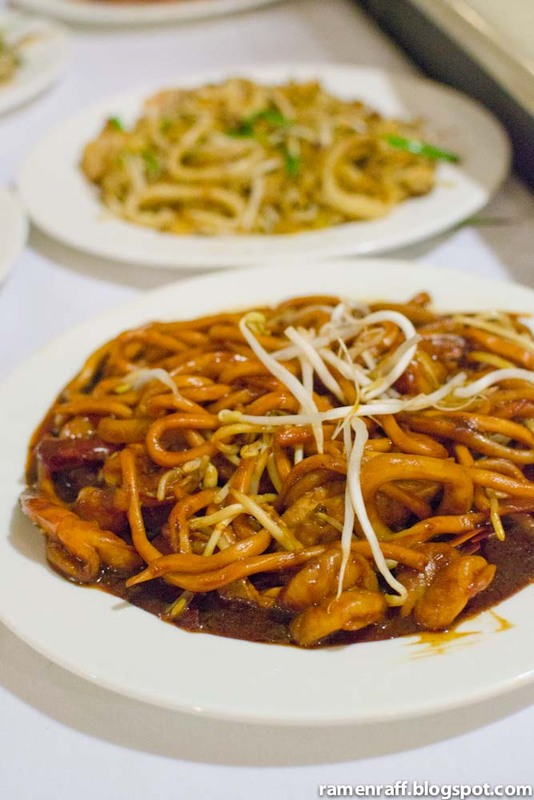 Love Jackie M's food - whether it be in Concord at her restaurant or at her market stalls on the weekend. So delicious! I don't think we are celebrities or think we are one. But we do our best to share our food experiences to the general public for "free". Kinda like, community service. What have you done for your community lately?